SA Schools coach Chris October has reshuffled his team for their final International Under-18 Series clash against Wales at Drostdy Tegniese Hoërskool in Worcester on Saturday as they look to complete the series unbeaten. The coach made 10 personnel changes to the starting team that edged out France in George on Tuesday for a 17-13 victory, with several players who starred in their opening clash against England returning to the run-on team. 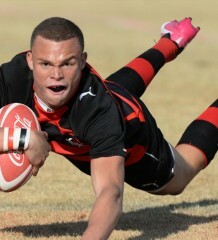 This included talented flyhalf Brandon Thomson and the powerful front row of Ox Nche, Ruan Kramer and Joseph Dweba. 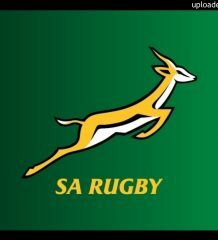 The Du Preez brothers, Daniel and Jean-Luc will also feature in the starting team at flank and lock respectively. Scrumhalf Marco van Vuren, meanwhile, earns his first start in the series as Justin Phillips and Remu Malan started the previous matches. The other 13 players in the squad have all been named on the bench, with the coach opting to wait until the game plays out to decide who to call on to make an impact. With the commanding Welsh pack serving as one of their main attacking weapons, the SA Schools forwards, in particular, will have their work cut out if they plan to keep alive hopes of emulating their predecessors’ success with clean-sweep of victories. 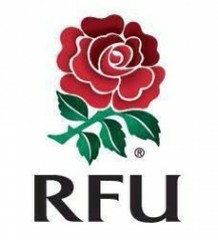 The desire to complete the series on a high note aside, the Welsh will still be hurting from their last-minute 17-15 defeat against England on Tuesday, which will fuel their determination to stamp their authority. Zoning in on the match October admitted that his team had to produce a much more effective performance in the lineouts and scrums especially, following their disappointing showing in those departments against France. The SA Schools clash will begin at 15h30, and in the earlier matches Italy meet the Boland Craven Week team at 12h30 and England take on France at 14h00.